يقع Pullman Quay Grand Sydney Harbour في رصيف الميناء الدائري, سيدني, هو خيار شائع بين المسافرين. يجذب هذا الفندق ذو 5 نجوم، والذي يبعد 1 km فقط عن وسط المدينة و 12 km عن المطار، الكثير من الزوار سنوياً. سوف يعشق النزلاء موقع هذا الفندق، فهو قريب من أهم المعالم السياحية في المدينة كمثل Masterpiece Jewellery, The Toaster Building, وول ووتشنج . 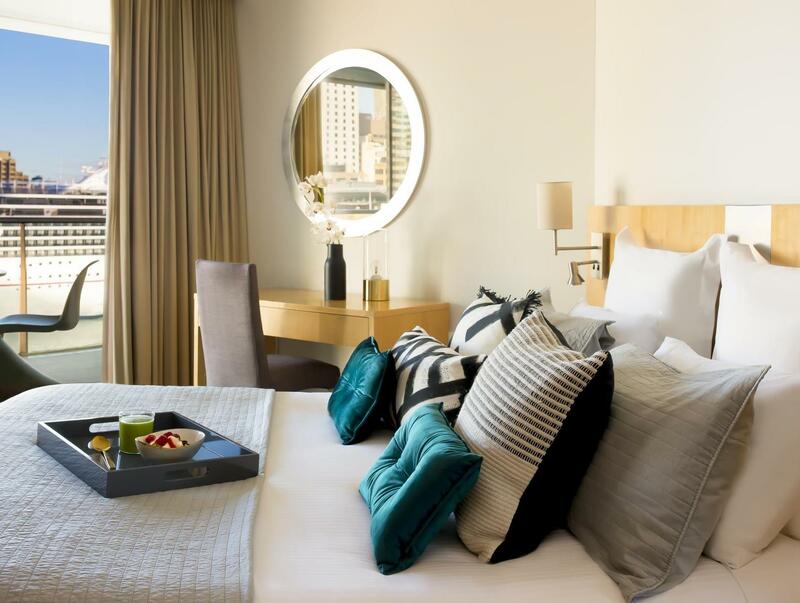 يعمل Pullman Quay Grand Sydney Harbour على ضمان إقامة مريحة لضيوفه من خلال خدماته الممتازة وحسن ضيافته. يمكن لضيوف الفندق الاستمتاع بالميزات التالية على أرض الفندق: خدمة الغرف على مدار الساعة, مكتب الاستقبال على مدار الساعة, مرافق مخصصة لذوي الاحتياجات الخاصة, تسجيل وصول/خروج سريع, تخزين الأمتعة . لقد جهزت هذه الإقامة الفندقية بعناية فائقة لتوفر مستوى عالي من الراحة. في بعض الغرف يجد النزيل تلفزيون بشاشة مسطحة, حمام إضافي, سجاد, صوفا, مناشف. يقدم الفندق مجموعة واسعة من وسائل الراحة المتنوعة، كمثل: حوض استحمام ساخن, مركز للياقة البدنية, ساونا, حمام سباحة داخلي. إن كنت تتطلع إلى إقامة مريحة وهادئة في سيدني، فستجد في Pullman Quay Grand Sydney Harbour بيتك الثاني. يُرجى العلم بتوفر مكان داخلي لانتظار السيارات مقابل 45 دولارًا أستراليًا في اليوم، ويجب حجزه مُسبقًا. للحجز، يرُجى الاتصال بالعقار مباشرةً قبل تسجيل الوصول، ويمكن العثور على بيانات الاتصال في تأكيد الحجز. We stayed overnight in a spacious 1 bedroom apartment that looked out at the harbour bridge and Luna Park. As a light sleeper, I did worry whether it would be too noisy but it wasn't. Close to everything we wanted to see, friendly staff and 24 hour room service was very handy. If you want to be close to the Opera House and Circular Quay, this is the place. We can't wait to stay here again. room clean with good quay view. you can see the Opera house from the balcony. surprisingly good. Cooking facilities are clean and also interesting to Chinese people, since we don't usually have them in hotels. The view, staff performance, comfortable room. We had a great stay at the Pullman. The view from the balcony and bedroom was quite amazing overlooking Circular Quay and the harbour. The room was more like an apartment with a kitchen, laundry, dining/lounge room and a great bedroom with a very comfortable bed. The breakfast was really good as well. I would certainly recommend staying at this hotel. The staff, the room and the location! This is the third time ive stayed here and it's always amazing! beautiful rooms, clean, the spas great, the balcony with the view of the harbour bridge. I dont have a bad thing to say about this hotel. Very friendly staff and easy to access to Circular Quay train station. This place is gorgeous and I will stay time and time again! Great place to stay maybe just for a night as the room rate is a little high at $330 but for an experience it's an unbeatable. 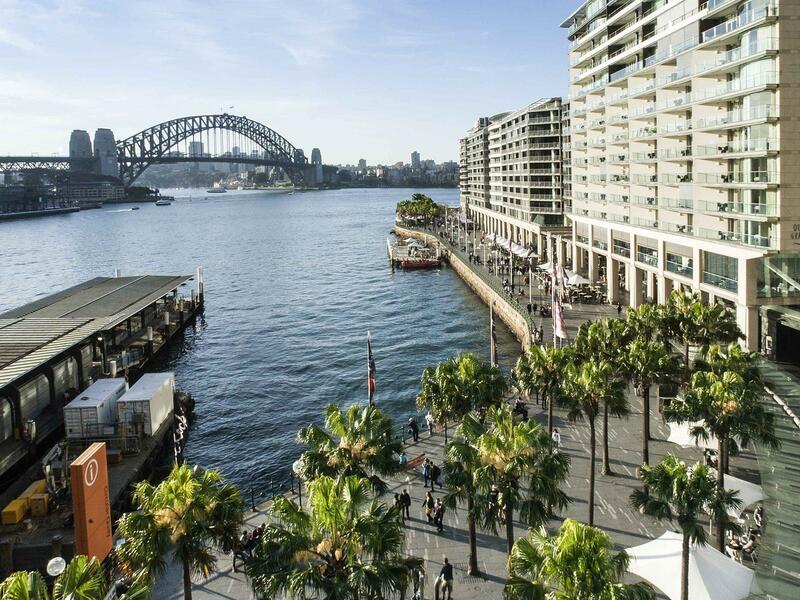 The view over the harbour is breathtaking and the location at Circular Quay is ideal. The train station is 50 metres away and there are some great spots for breakfast. Check in was painless, the room large with a spa but as I said book this place for the view which was the most spectacular I have ever had. Stay was great albeit very short. The staff was professional, and the early check in granted was highly appreciated after a long flight across numerous time zones. Room is very very spacious with separate living and sleeping areas. Kitchen very well equipped. All one can require for a short stay. The hotel open directly on the walkway to the Sydney Opera. Lots of restaurants and entertainment in the area, and very close to shopping areas in town. Overall a very enjoyable stay. A walk to the sights of the Harbour Bridge, Opera House, the Rocks district and Botanical Gardens. Enjoy the ambience of the Opera Bar while mingling with locals and other tourists looking to enjoy the waterfront views at Circular Key. This hotel is surrounded by restaurants. This is a very vibrant way to taste the Sydney City lifestyle. The Hotel is a short walk from the train station, which goes directly to the airport, and the ferry and cruise terminal. 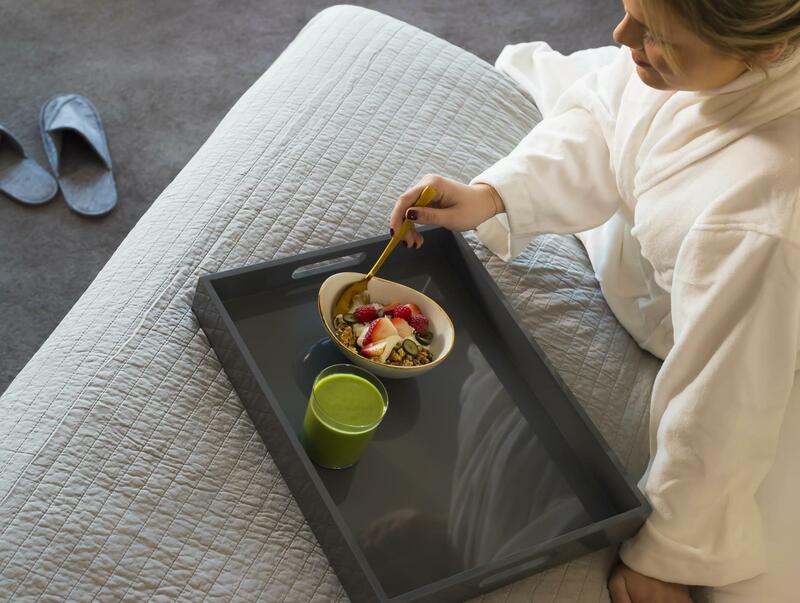 Breakfast for room service is amazing, good price and quality. We stayed in room 706. Wonderful venue for New Year's Eve fireworks viewing. Air conditioning was terrible so we found it a bit like being in a sunny fish bowl- very hot! The stereo in the room was very old and we couldn't use it due to the static Ready for the tip! Bed was very comfy. Could do with some nicer outdoor furniture very cheap and nasty for $1400 per night. Staff are amazing. So helpful on the front desk and also in the restaurant. Breakfast menu for kids at only $10 a lovely surprise. Extravagantly spacious and very quiet rooms. Dress circle location on Sydney Harbour. Beautiful inside pool with soaring glass walls and views across the Harbour. We didn't really need an apartment as we planned to eat out but that amazing space and comfort was very much appreciated. My husband worked from the room across the first two days and it was a perfectly quiet working environment. The indoor pool was a surprise - very beautiful with mosaic tiling and sweeping views of the harbour through the glass walls. We had a garden view apartment which meant we got a little bit extra space for a little bit less money and still the same amazing address. Myself & Girlfriend stayed there for 2 nights and the apartments are located in one of the best locations at the quay , the staff are very friendly and super efficient , they take you to your room , show you how everything operates. The rooms are of a adequate size and very modern with a descent size kitchen and well equipped. Will definitely stay here again. About 3 minutes walk away from Circular Quay railway station, excellent views of the city and the harbour, close to everything in Sydney. Picking a harbour-side room resulted in the best Sydney trip ever. There was a great view of the city, Circular Quay and the Harbour Bridge. Shops and restaurants are a short walk away. Circular Quay railway station is a 3 minute walk away for easy subway access to Sydney and surrounding areas. The huge room was a self-contained apartment, and the kitchen was stocked with enough equipment to cook meals. Apart from a minor issue with water leaking outside of the shower, staying at the Pullman Quay Grand was the best ever experience. For sure I will come back again to this hotel every time I have a business trip in Sydney. I'm very lucky to have a chance to stay at this hotel for the very first time, spending 3 nights and loving it with the harbor bridge view from my bedroom and from the living room area. This hotel is the best hotel I ever stayed so far in Sydney (I travel 3x a month for business trip in this city and been staying in different 5star hotels depending the availability )but I am falling in love with this hotel, not only the location, also the stuff are friendly, the food at their restaurant are very good. I tried to re-book this hotel again for my next trip but unfortunately no luck for me this time as none of the room is available :( I highly recommended Advance booking is a Must. I found only Agoda have the best price compare other site. 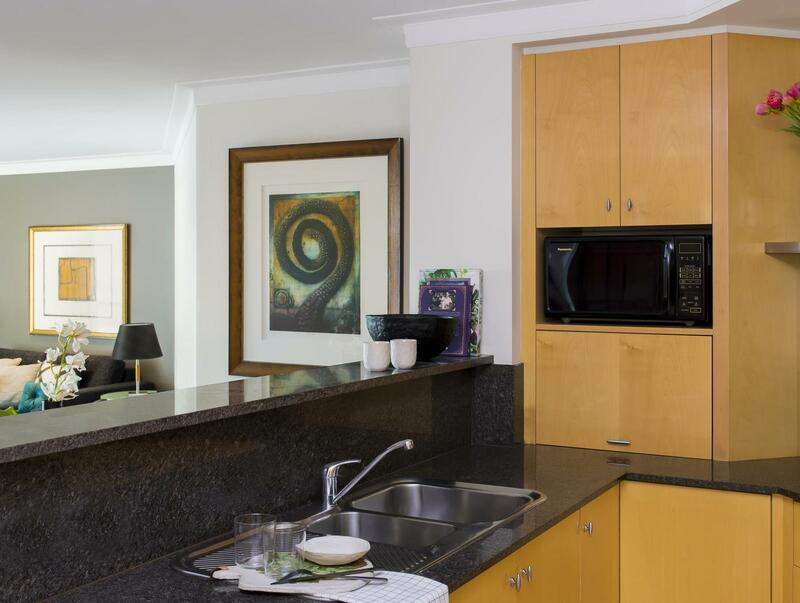 For easy access to major attractions near downtown Sydney the Pullman is a perfect choice. The room was very spacious with large floor to ceiling windows. Was pleasantly surprised by the sound insulation of the large glass windows. Highly recommend the Harbour view rooms with balcony. Fantastic views, friendly helpful staff and large comfortable apartment.